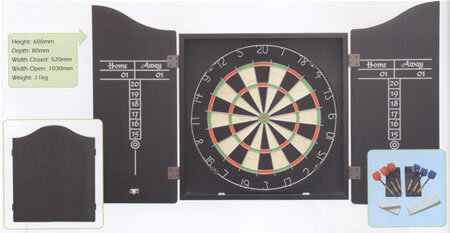 Stylish, tournament quality dartboard & cabinet complete with accessories. Designed to hold both dartboard & darts whilst providing maximum wall protection. The cabinet blends with any decor - simply hang on the wall & play!